AstraZeneca saw revenues decline by 3% and earnings per share fall 5% in 2016 as the expiry of blockbuster Crestor took its toll. The UK-Swedish pharma giant says 2017 will see a similar decline in revenues and EPS – but is confident that its cancer pipeline will come good this year, including key read-outs from its combination treatment for lung cancer. Diabetes drug Farxiga also grew strongly last year, and is set to breach the $1 billion revenues mark in 2017, as will cardiovascular drug Brilinta. Emerging markets are another of AZ’s growth platforms, and have even helped return post-patent respiratory drug Pulmicort back into $1 billion+ sales last year. 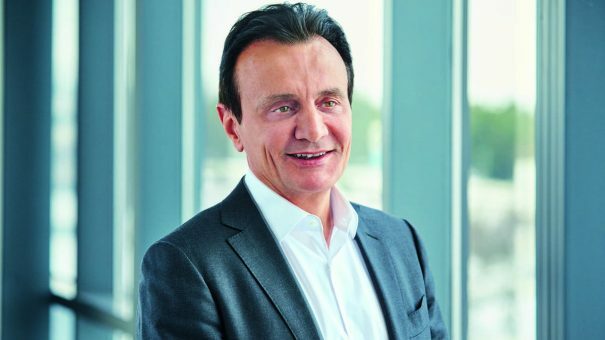 “We are now seeing the new AstraZeneca emerge,” said chief executive Pascal Soriot. AstraZeneca has been offsetting its declining revenues over the last few years by selling off or out-licensing non-core portfolio drugs – a move which last year helped lift its profits significantly. Externalisation revenue rose 58% to $1.68 billion for the year, which helped boost reported operating profit by 19%. These efforts also helped keep revenues and core EPS in line with investor expectations. AstraZeneca is focusing on just three core R&D areas, oncology, cardiovascular & metabolic diseases and respiratory medicine – but there is no question that oncology has become its greatest hope. The overwhelming focus for AstraZeneca’s year will undoubtedly be its MYSTIC trial in lung cancer, which will get its pivotal progression free survival (PFS) read-out in mid-2017, followed by overall survival (OS) data in 2018. MYSTIC is a study combining two immuno-oncology (IO) drugs, durvalumab and tremelimumab in first line treatment of non-small cell lung cancer (NSCLC) compared to chemotherapy. 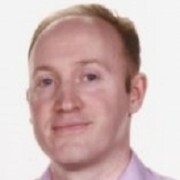 AstraZeneca hopes strong data will make it a contender in the field – but Merck’s Keytruda is now streaking into the lead, with BMS’ Opdivo and Roche’s Tecentriq also well established in the market. AZ recently amended its trial design for MYSTIC, adding OS and PFS endpoints for durvalumab as a monotherapy. Pascal Soriot says this was based on external and internal data, and commented that there were “significant competitive opportunities in monotherapy” for durvalumab. The company believes it could become a leader in IO and IO&IO combinations in lung cancer, but knows it is playing catch up. The field has moved very rapidly, with BMS losing its lead in the field when Opdivo failed to show benefits in frontline lung cancer, and Merck’s Keytruda building a convincing lead in this tumour type, by far the biggest IO market. Keytruda was recently accepted by the FDA for use in combination with chemotherapy in frontline NSCLC, a development which could add yet another twist to the evolution of treatment. Seeking to calm expectations, Soriot said the MYSTIC read out would not provide a definitive and final picture to the best way to treat the disease, but would instead open up a “whole series of shades of grey” depending on different tumour sub-types. Soriot also said the potential of its non immunotherapy cancer treatment Tagrisso should not be overlooked. The drug is a second-generation treatment for patients with EGFR+ lung cancer – patients with this mutation are much less likely to respond to immunotherapy, and thus Tagrisso will have a major role to play. This is particularly the case in Asia, where 40-45% of lung cancer patients are EGFR positive. The drug achieved worldwide sales of $423 million in its first full year, but hasn’t yet gained approval in China, now AZ’s second biggest market. AstraZeneca has gained accelerated review from China’s regulator, and believes it is very well placed to tap into the country’s huge market over the next decade. Speaking to journalists at the company’s Q4 results presentation, Soriot inevitably fielded questions about the promises and threats of the new Trump administration, as well as Brexit, but remained sanguine about potential surprises in 2017. “You really can’t predict the unpredictable,” he said, but nevertheless played down fears of more pressure on prices , observing that potential for further reductions in Medicare part D this year was’not huge’.